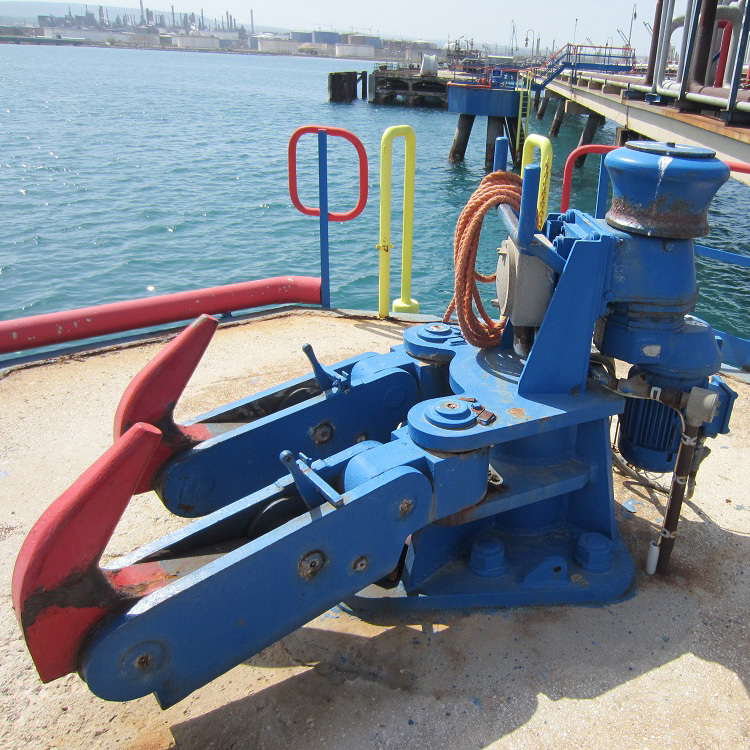 Mampaey Offshore Industries has supplied three triple Quick Release Mooring Hook units of 125 ton integrated with capstans. 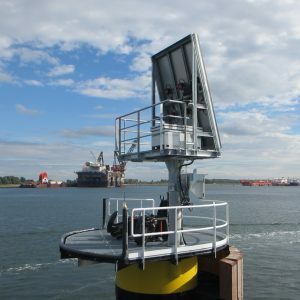 The units are installed on monopiles at the ETT Calandersteiger-Oost in Rotterdam, The Netherlands. On special request of the customer the units operate on a special autonomous Solar Panel System. 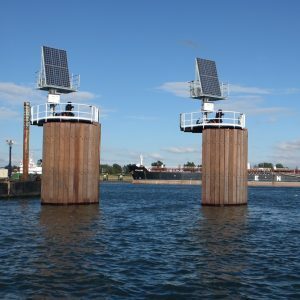 This autonomous Solar Panel System provides the units with electricity for the capstans, the navigation light and for the wireless Mooring Load Monitoring that is integrated in the units. 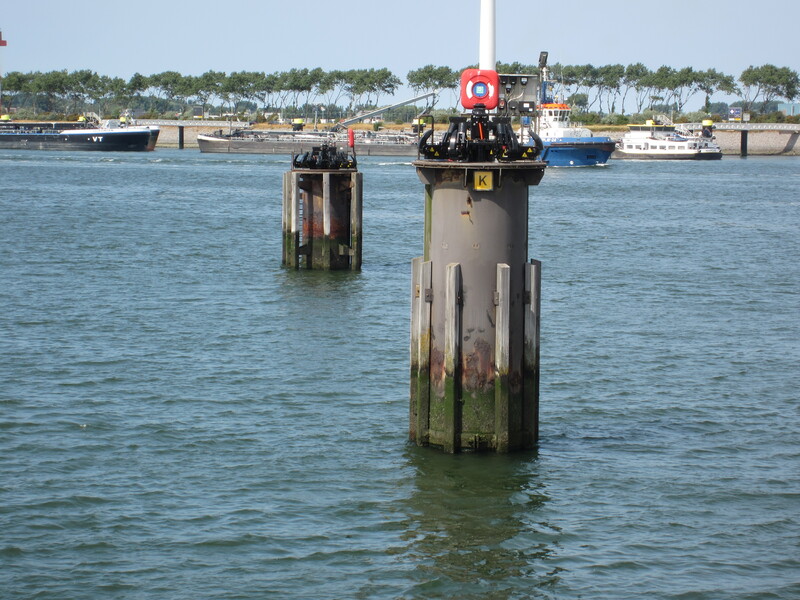 With this wireless solution, the crew on site is able to monitor the mooring loads on the hooks. 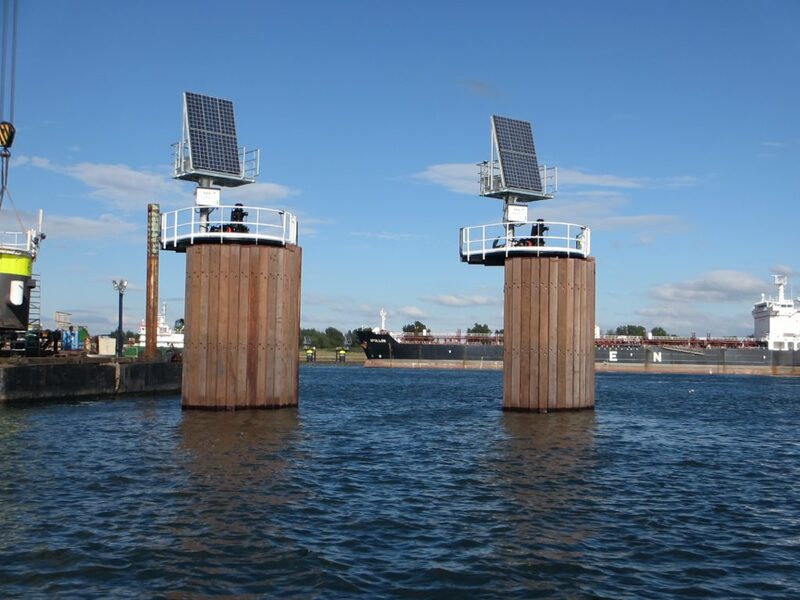 A special designed mobile application provides the crew on site of information about the level of charge of the Solar Panel System and displays the Mooring Load Monitoring. 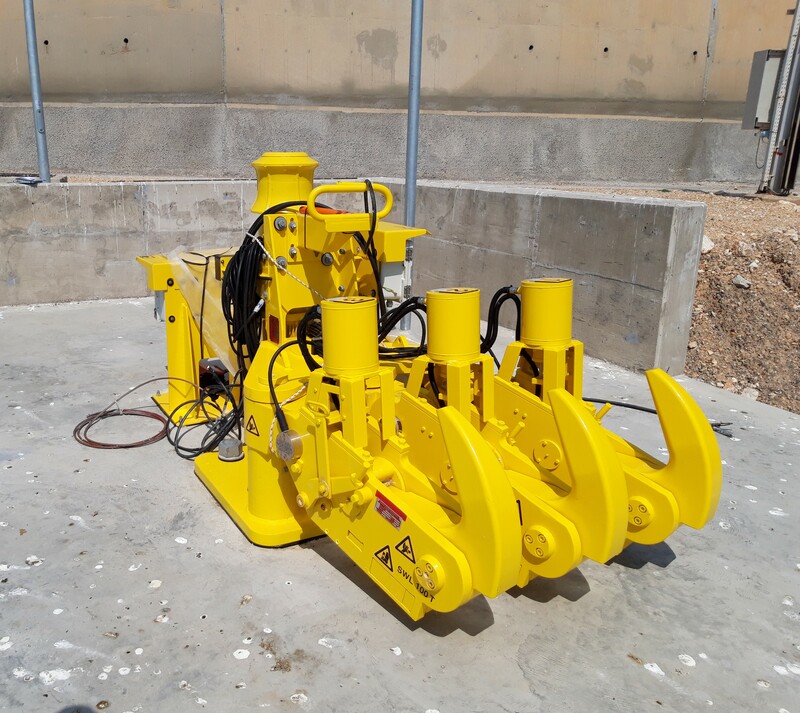 In addition to providing of new units with this autonomous Solar Panel System, we also performed service of revamping of two existing double Quick Release Mooring Units of 125 ton with capstans. 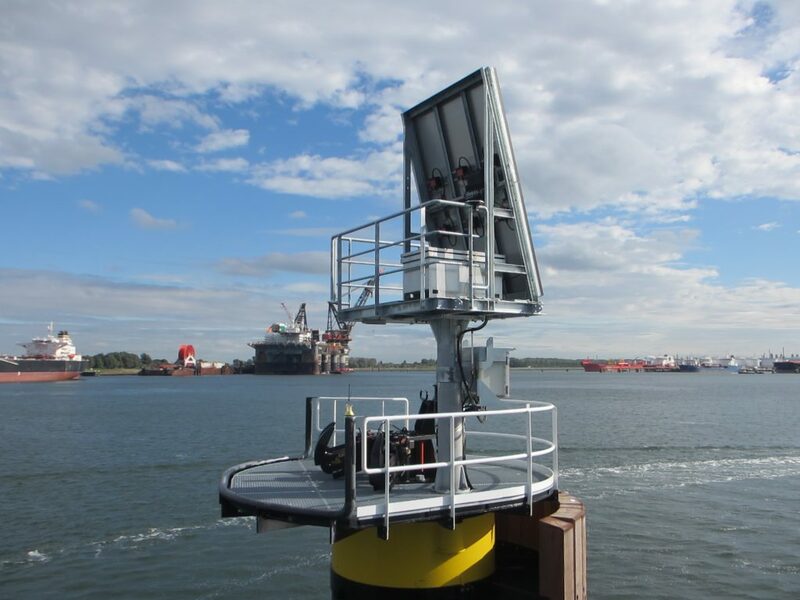 The units were operational since 2005 and the units are now prepared for another run.